If you're looking to drop excess pounds, you're not alone. Colorado State University Extension says 50 million adults living in the United States attempt a diet every year. But many dieters fail to meet their long-term weight goals. In addition to restricting calories and exercising regularly, consuming yogurt at breakfast may aid in weight control. A research team at the University of Tennessee set out to see whether consuming yogurt boosted weight loss. Their research results were published in the January 2005 issue of "International Journal of Obesity." The scientists discovered that those who consumed three servings of low-fat yogurt per day lost more weight -- especially fat around their belly -- than dieters who avoided yogurt. A paper published in the November 2001 issue of "Obesity Research" notes that adults who consume breakfast daily are more likely to maintain long-term weight control than those who skip breakfast. Low-fat yogurt is a naturally rich in protein but low in calories. High-protein diets may aid in weight loss by reducing appetite and boosting metabolism. This occurs, in part, because protein has a high thermic effect. That means that your body uses lots of energy to digest it, increasing your calorie burn throughout the day. Breakfast promotes weight control by reducing hunger and helping you make healthy food choices later in the day. There's nothing wrong with consuming yogurt on its own. 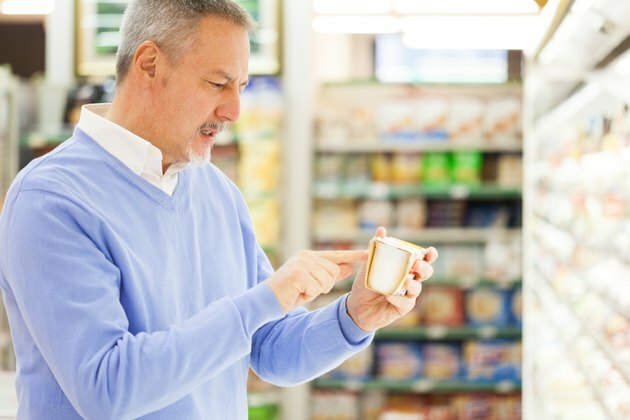 However, you can add more excitement by adding healthy flavor-enhancers such as a calorie-free sweetener, fresh or frozen blueberries or whole-grain cereal. Additionally, yogurt can be used as a base for a healthy smoothie. 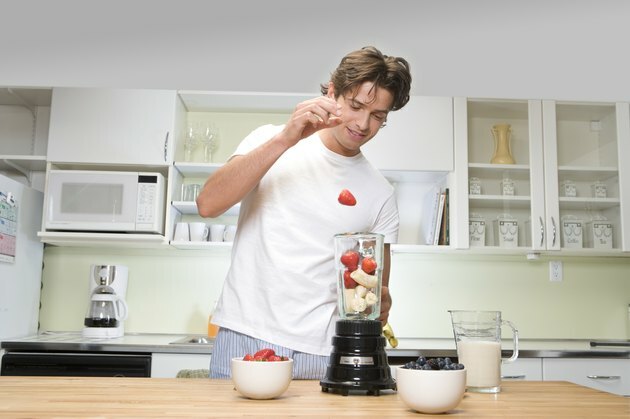 Consider mixing yogurt in a blender with fresh fruit, ice, oatmeal and protein powder. 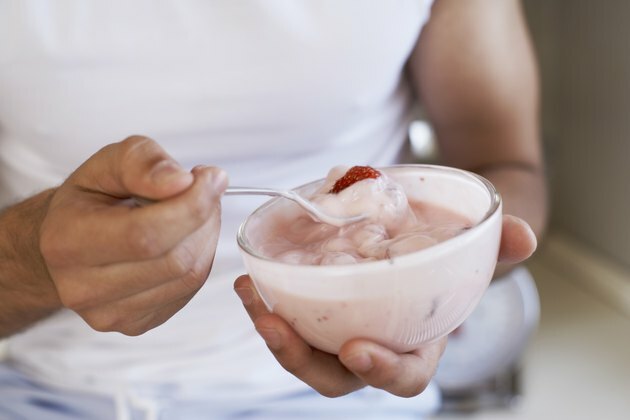 While there is scientific evidence for the weight-control benefits of yogurt and breakfast, no study has looked at whether eating yogurt for breakfast promotes weight loss. Also, many varieties of commercially available yogurt are rich in added sugar. Opt for all-natural yogurt that contains no added sugar. Can an Ingredient in Yogurt Actually Make a Yeast Infection Worse? How Much Yogurt Can You Eat in a Day?